In our house, anything with bacon is an instant hit. 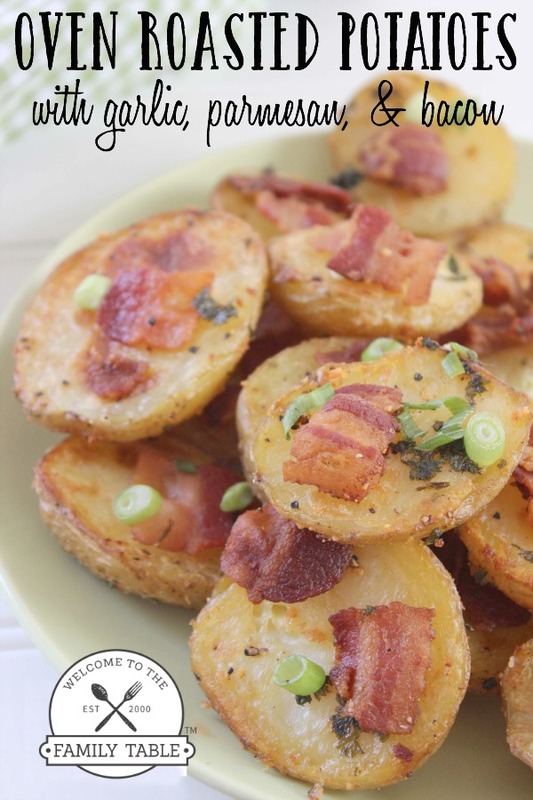 Add potatoes, garlic and Parmesan? You’d better hurry up and grab your share because our family is fixin’ to devour the plate! 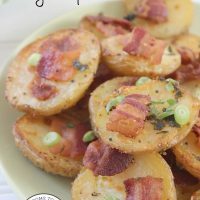 Today I am sharing with you a simple, but delicious recipe for oven roasted potatoes with garlic, Parmesan, and bacon. Yummy! Slice bacon into 1" pieces and fry until cooked but not crispy. Allow to drain. Reserve bacon grease.